He'll speak at WMRA's Books and Brews, April 9 and 10, 2019. WMRA’s Chris Boros spoke with Earl Swift and asked him to describe the island. 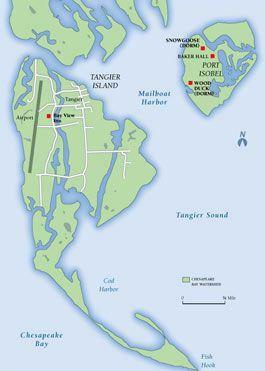 Earl Swift: Tangier is a squiggle of marsh and mud in the middle of the Chesapeake Bay at the bay’s widest point. It’s a little tiny speck of land in the middle of 18 trillion gallons of water. It’s susceptible of every whim of nature and it’s populated by 460 people, virtually all of whom can trace their lineage back to the first settlers during the American Revolution. WMRA: So let’s talk about what’s happening on the island and why we should be concerned. ES: Well first of all, to set the scene, the lower Chesapeake Bay has a one-two punch occurring. The water is coming up at an accelerating rate. And at the same time a byproduct of the last ice age is prompting the land in the lower Chesapeake to subside. And this one-two punch of land going down and water coming up gives the lower bay one of the highest relative sea level rises on the planet. 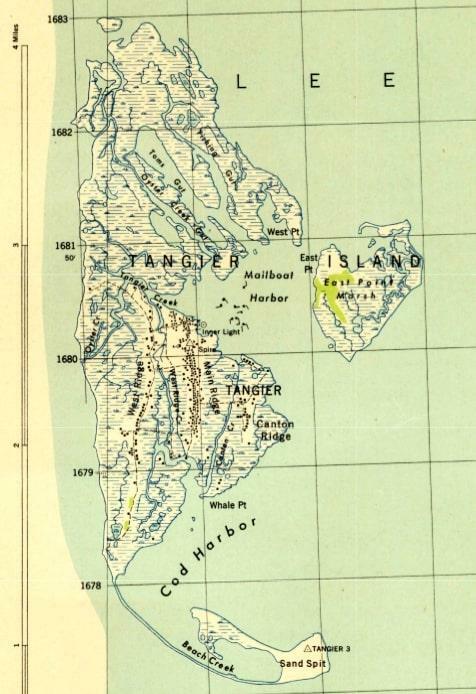 And in the middle of this region you’ve got little Tangier which is as flat as a board, treeless, barely clears the tides, and doesn’t have any elevation to give up. So what’s happening is that since 1850, Tangier has lost two-thirds of its area while islanders describe their dilemma to simple wind driven waves, the fact is that it’s part of a bigger phenomenon. Without heroic intervention, the best estimates is that Tangier has 25 years or less before it has to be abandoned. WMRA: So how worried are the people who live there? ES: Oh it’s a preoccupation pretty much 24/7. And what makes this more than just a story of a town of 460, is that this is merely the first of hundreds, if not thousands, of American towns that are going to be facing this dilemma and we as a people are thrust into a position having to decide what we’re going to do about it. We’re not going to have the time, the money, or the means to save all of them, we’re going to have to decide which we surrender to the sea. WMRA: Well I guess the next question is how do we save it? ES: This falls squarely on the heading of heroic intervention. But one could buy time for the island by rebuilding it essentially. Having the corps of engineers go in there and build cells of raised land, similar to what they’ve done in various other places – you surround a marshy piece of disappearing island with riprap and then you pump in dredge fill and you raise the whole elevation of the place 15, 20, 25 feet and you buy it a century. But we’re talking a price tag of 800 million dollars or more for a project like that. WMRA: Is there anything that the everyday person can do? ES: You know, that’s a tough question. The prescription for saving the island is so big that I’m not sure there is. Maybe the best thing people can do, especially Virginians, maybe is to go visit the place. This is a part of Virginia that’s often overlooked. These are very proud Virginians, Tangier sent more people per capita into WWII than any other Virginia town. Even though they live a life apart of the American mainstream, they’re flag waving Americans. Go to Tangier and see what it is we’re talking about because this is the future. We’re looking at something that is going to raise its head again and again, it’ll become a constant state, it’s going to touch everybody. I live in the Blue Ridge, I’m 1800 feet above sea level, it’ll come and get me too. 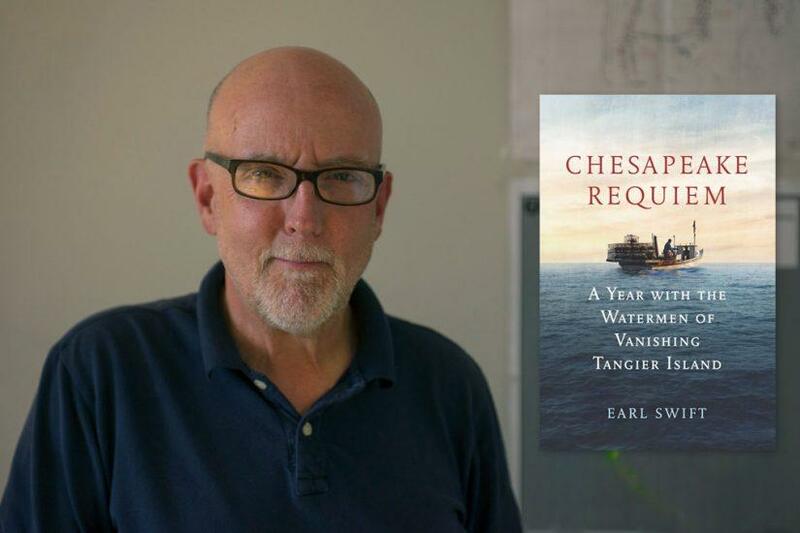 WMRA’s April Books & Brews features Earl Swift discussing his book, Chesapeake Requiem: A Year with the Watermen of Vanishing Tangier Island. His book has been described as a brilliant, soulful, and timely portrait of a two-hundred-year-old crabbing community along the Chesapeake Bay facing extinction because of climate change.